Video (00:23) : Coach Bruce Boudreau discusses the 5-1 loss to the Avalanche. The Wild’s manpower wasn’t the only area that took a hit Tuesday. After getting thumped 5-1 by the Avalanche at Xcel Energy Center, the Wild’s lead for the third spot in the Central Division deteriorated with Colorado trimming a five-point deficit to three. This put the Avalanche and Stars in a tie at 82 points, and both occupied the Western Conference’s wild-card berths by the end of the night. “It makes it a lot more interesting now,” winger Zach Parise said. “I think it could have been a seven-point gap and now all of the sudden, it's three. It's not the way we were hoping for it to be. Rebound the next one." 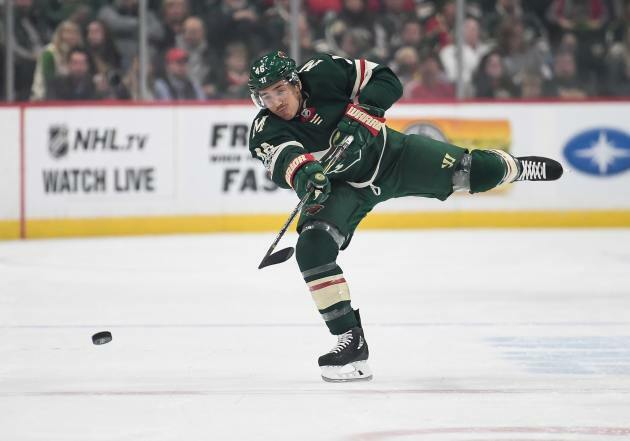 A win would have upped the Wild’s cushion to seven points over the Avalanche and five points ahead of the Stars, who lost to the Canadiens earlier in the evening. But instead of capitalizing on that result, and taking care of its own business by disposing of the Avalanche, the Wild’s situation became more tenuous ahead of a critical back-to-back this weekend on the road against the Pacific Division-leading Golden Knights and Coyotes – a team the Wild has yet to defeat this season in two tries. On top of this, the status of defenseman Jared Spurgeon is unclear after Spurgeon left Tuesday’s game with a lower-body injury after going into the boards awkwardly as his legs split apart. The team expects to know more on Spurgeon Wednesday, but coach Bruce Boudreau said the injury is not a knee or ankle. Asked if it's a groin, which bothered Spurgeon earlier in the season, Boudreau said, "No, it's just lower body." Here’s what else to watch for after the Wild’s loss to the Avalanche. Spurgeon wasn’t the only Wild player to exit the game. Winger Jason Zucker missed the end of the first period before returning for the second after he took a tumble to the ice. As Zucker was crashing the net, he took a slash to the left arm and tripped to the ice – falling hard on his right side. This loss wasn’t a result of a lack of try. Actually, the Wild dictated play for much of the first period and also appeared to have the upper-hand early in the second. But its inability to translate those quality scoring chances into goals stung the team. “They took advantage of the chances they had, and we didn’t take advantage of the chances we had,” Boudreau said. Boudreau mentioned winger Mikael Granlund, who hasn’t scored in his seven games, turned the puck over quite a bit against the Avalanche. Mailbag: How much could the Wild change this offseason?